I’m pretty restrictive when it comes to buying new sewing tools. I know that many can speed things up, improve the end result and just make our sewing life easier. But on the other hand, they can quickly add up, both monetary and space-wise, and I want to spend my money wisely. I’m currently considering getting some new sewing tools that are perhaps not necessary, i.e. a similar result can be achieved without them, but I have a hunch that they will improve my results and my sewing experience. So instead of just splurging, I decided to make a video and ask for your opinions on whether or not you think these are good tools to have. And not just for me really, as I think I’m not alone in considering getting some of these. If you have any opinions, experience, brand recommendations and such on tools I talk about in the video I would love to know! Or perhaps you have some other tools that you ended up getting and they turned out to be really good! I adore my June Tailor point presser/clapper. It is heavenly when you are trying to get into collar points and other tiny areas that benefit from opened seam allowances. If you are handy and have access to woodworking tools hardy enough to handle maple, I imagine you (or a friend who owes you a big favor) could make one, but if not, I think it is definitely worth the investment, especially since you make so many blouses with collars. I also have the Gingher featherweight thread snips. The body is nylon and the blades are sharp and the points go into a sturdy little sheath that you can wear on a ribbon around your neck. So they’re handy (you grab and snip all in one motion) and at least 75% of the time I remember to put them back in the sheath, so in the chaos of sewing, I know where they are. That alone can be priceless if you are a frantic sewer, as I am. I do not have a felling foot. I had one years and years ago on my older Bernina 830, and didn’t have the best success, but I wasn’t as skilled then. I suspect it may be like the binder attachment for the serger and you have to invest a little time to get the best use out of it. Maybe your dealer will let you bring in your machine and try the foot in the store. They know it’s an expensive foot and they probably want to sell it to you, so they might go that extra mile and give you a few minutes to play with it. Thank you for your superhelpful advice. I’ve heard great things about the Gingher brand but it doesn’t seem to be easy to get them shipped to Sweden. Will investigate this further! And your experience with the older felling foot is very helpful, I to have found that some presser feet actually make things more cumbersome, at least when I don’t take the time to learn to use it fully. I will take your advice and see if I can try it in real time in stores. Hej! Ett billigare tips är att bara köpa själva pressklossen, den kostar under 100 kr (tex på Cronacraft som är tillverkade i Dalarna) istället för den dyrare kantpressen (eller en presshäst/pressföl). De senare brukar dock annars finnas på loppisar eller second hand då och då så kan vara värt att hålla utkik! Jag har en riktigt liten trådklippare som jag köpte i Japan, den är totalt ca 6 cm lång och så smidig och suverän att klippa små trådar med, använder den hela tiden. Har också någon billig stor trådklippare men den är så klumpig och plastig och inte alls lika vass i bladen så den använder jag aldrig. Men har sett att den typen av större trådklippare är vanlig i fabrikerna inom konfektionsindustrin då den sparar på handkraft jämfört med en sax. Hi, Johanna! Here is what I think about those tools. Flat-felling foot: try using one at your sewing machine shop. I wouldn’t buy one for shirts or jeans, but if you are making a raincoat, you probably won’t be able to press those seams very much, so I can see it being very difficult to do even flat-felled seams without a special foot. That said, some specialty feet are hard to use even for experienced seamstresses, so it could end up being a waste of $$. So try and see if you can use it before you buy. Thread snips: I have two of them and never use them. I prefer small scissors because they can do more than just snip threads (like, trim corners and seam allowances). I used to have a third thread snip, which I lost, and it only cost $1. I see no difference between cheap and expensive ones, so if you want to try using one, I’d get a cheap one. The only caveat, if it’s cheap, you won’t be able to have it sharpened, and will have to throw it away when it gets dull. Clapper — get a June Tailor one, it’s necessary for tailoring. 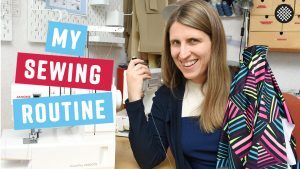 Seam guide — I don’t know, I use a guide on my machine or, for odd widths, I use washi or masking tape placed on my machine after measuring the correct distance from the needle for my hem. Thank you for your very insightful advice! I totally agree about some speciality feet just making stuff harder, at least initially and from the feedback I’ve gotten so far, the flat feel foot might belong in that category. Interesting info about the cheap vs expensive not being all that different. I suspect it comes down to find the right budget brand! Thank you! Everyone who owns clapper seem to love it, now I definitely can see myself getting one. As for speciality feet, in the past it has been a mixed bag for me. Some are amazing but others have such a huge learning curve that I just never gotten over. The snippers, i can’t live without mine. They are easier, ergonomically better to use then big scissors. I have one with each machine I have setup for doing a sewing project, in my case sewing, topstitching, serger, coverstitching. I just use the cheap one’s from china you can purchase from alibaba/ebay. Next time I will pay more for better quality. Clapper, can’t live without it. You can make your own, diy, hardware store, just ask the husband to make it for you. There are numerous online resources to help you make your own pressing tools. Feet, well you need to go to your Bernina Dealer and try them. I have a bernina and for flat fell 4/8 mm and rolled hem feet will set you back a few bucks. Bernina sometimes has a 25% off sale, make sure you have your dealer let you try them before you spend money on Bernina Feet. These feet have been the most difficult for me to master and I still can’t get it right. I always end up doing it the manual way. The ergonomy aspect it was really attracts with the snippers, I’m getting older and I just want things to feel good in my hands and not strain anything. Thank you for sharing the experience with the Bernina speciality feet. I had a rolled hem foot for my last sewing machine and I never got it to work right, and was a little worried that the flat fell seam would be a similar cumbersome experience. Your experience confirms those worries, and maybe I don’t have enough patience! My suggestion is get a clapper/tailor board. I cannot recommend this item enough, I love mine. It is so useful when I am making shirts as I use it when I am constructing the collar. I live in Australia and purchased mine from Tessuti fabrics (AU$49) for anyone interested. Would never be without one now. I have the snippers which are ok. I use cheap ones and have a few of them so I can always find them. Thank you! Everyone does seem to rave about the clapper, so I will definitely put it on my wish list now. And good to hear that budget snippers can work too! 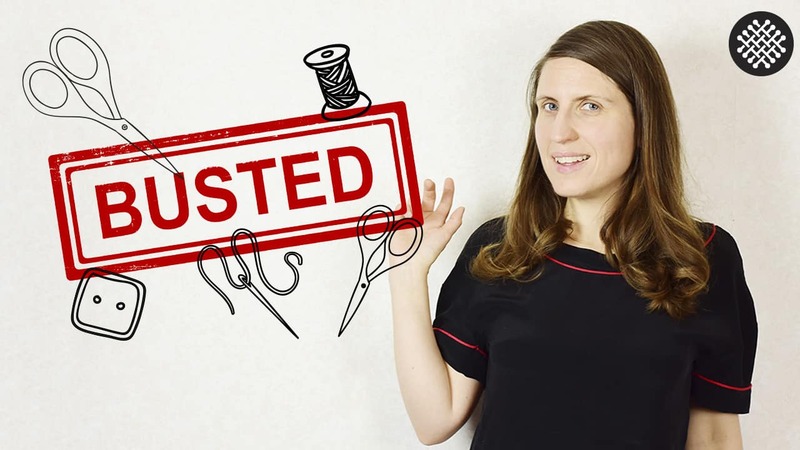 No answer to your good tool questions, but I like to compliment you with your top you are wearing in this video. The fabric design , colors go very well on you! I’m with everyone else on the clapper. I definitely recommend it. I have flat-felled feet for my Bernina as well as my industrial Juki and both work very well. I see no reason to flat fell without the specialty foot. Since you are unsure, I’d say to try at your dealer before buying. I have snippers of two different brands. Some work better than others even within brand. It depends on the screw remaining tight so that the edges align. They are quicker to pick up than scissors. One brand wouldn’t be available to you. The other is Kai, which you might be able to get. Certainly worth trying but I wouldn’t put them at the top of your shopping list. If you like the pair you tried at your dealer, then just get those. I agree with others about the value of the point presser/clapper. Just finished a shirt for my husband and couldn’t have done anywhere near as good a job without it. No experience with the flat-felled foot so can’t comment. Highly recommend the thread snips. I have 2 pairs, one more expensive, the other inexpensive, and they both work equally well. I’d suggest buying an inexpensive pair and simply test them before buying to ensure the blades meet as they should. I would highly recommend the tailors clapper. I have tried the the snippers but prefer my regular small scissors for cutting threads. I have never used a flat fell seam foot but I think my old Bernina 930 has one in the tool box and I will give it a try. As for the seam guide for the Janome Coverstitch machine, I didn’t know they existed but I would love to have one. I have a pair of Fiskars snips, but they got dull or misaligned very quickly, in like 2-3 months, and now I can’t be bothered using it. It was great while it lasted though! Yes for the clapper, you will not regret it. The snips, in my experience, are a waste of money, I use a small pair of scissors. If you could find an older clapper, they seem to be heavier and a bit more well made.